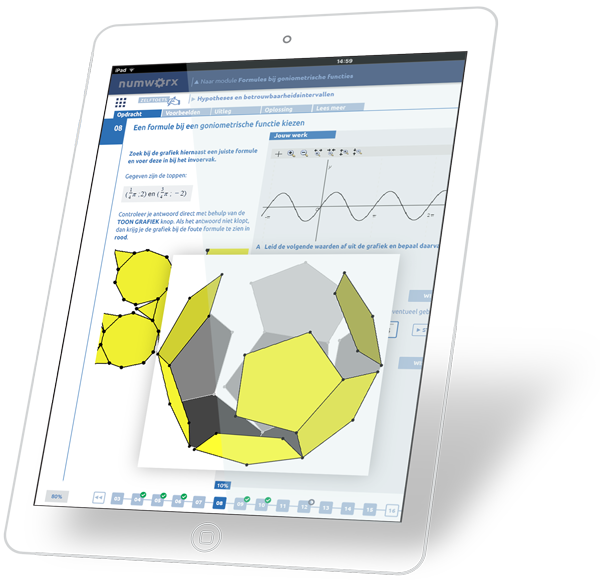 Numworx is the digital mathematics platform for secondary school and university education. Numworx makes learning mathematics easier and fun! Numworx offers teaching aids and assignments, visual development tools and flexible class management. Numworx matches your teaching practice. With Numworx you can do varied exercises and learn step-by-step. Bored by mathematics? That’s all over. Numworx makes learning mathematics more easy and fun! 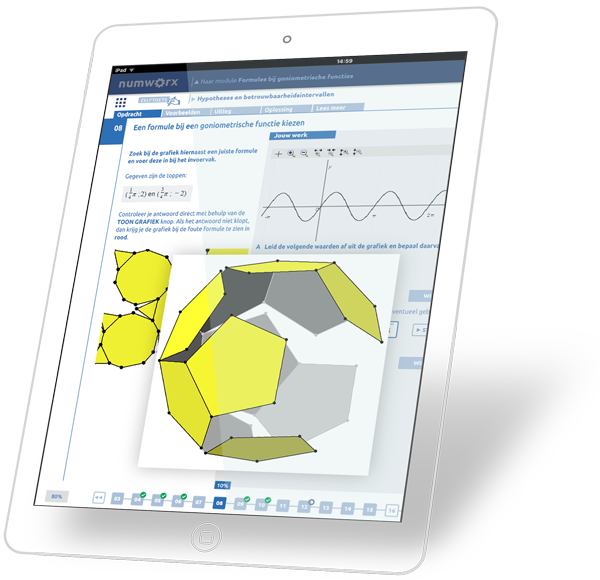 Develop advanced interactive mathematics teaching materials. Numworx Solutions assists in publishing projects and offers system hosting and support. Numworx’s truthful rendering and processing of mathematical notation is unique. And students can use automatic recognition of handwritten formulas and notes. Numworx is originally developed by Utrecht University. Many of Numworx's teaching modules have been tested in research projects and improved based on the results. Numworx allows teachers to create complex digital teaching material without specific IT expertise. The vision of the creators of Numworx is that experts in educational design should be able to develop teaching materials themselves. Numworx modules are available to be copied and adjusted as required. This content includes exercises, course series and interactive components which can be incorporated into teaching material in different ways. Numworx employs CAS (Computer Algebra System). With CAS it is possible to recognize solutions that are different - yet matematically equivalent - and to provide meaningful feedback to students. The net of a constructed object is created with a 3D tool. Learning mathematics is easier and fun with Numworx!